Named after the Balkan Mountains, the Balkan Peninsula is a peninsula and a cultural area in Eastern and Southeastern Europe. Musala Peak, Bulgaria. Musala is the highest peak in the Balkans. The Balkan Peninsula is a peninsula and a cultural area in Southeastern/Eastern Europe. The region has disputed boundary lines and is named after the Balkan Mountains that run from Serbia-Bulgaria to the Black Sea border. The peninsula is bordered by several seas including Adriatic, Ionian, Mediterranean, Aegean, and the Black Seas. Balkan is a Turkish word which means “chain of wooded mountains.” The Balkan Mountains were called by the local Thracian name Haemus from the Antiquity to the Middle Ages. According to the locals, King Haemus of the Thracian was converted to a big mountain by Zeus as a punishment. The Balkan Peninsula is bordered by several seas including the Adriatic, Mediterranean, Marmara, and the Black Seas. The northern boundary is always defined by the Danube, Sava, and Kupa Rivers. Although Italy included the areas of Istria and Dalmatia within the greater Balkan Peninsula before the World War II, only a small area of Trieste is included inside the peninsula. Unlike the geographical definition of the region, the Balkans is defined politically by the borders of the states making up the area. The Balkans is said to comprise of Albania, Bosnia, Bulgaria, Croatia, Kosovo, Macedonia, Romania, Serbia, and Slovenia. Most of the Balkan Peninsula region is characterized by mountain ranges which run from the northwest to the southeast. The mountain ranges include Balkan Mountains, Rhodope Mountains, Dinaric Alps, the Sar Massifs, and the Pindus Range. 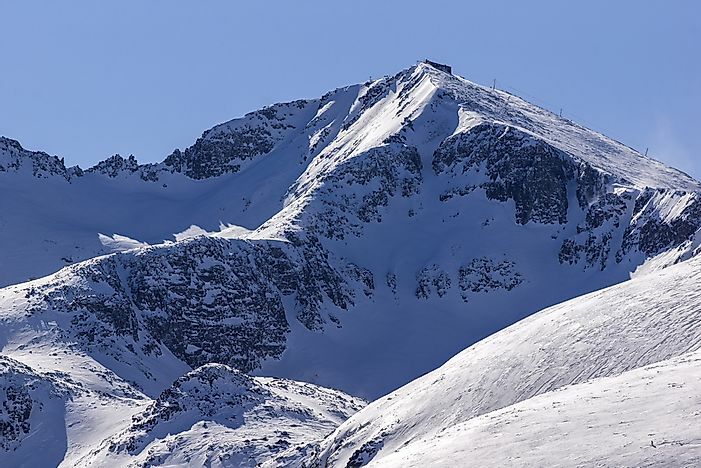 The highest peak in the area is Musala in Bulgaria at 2925 meters followed by Mount Olympus in Greece and Vihren in Bulgaria at 2917 meters and 2914 meters respectively. The climate along the Adriatic and Aegean coast is mainly Mediterranean while the climate is humid subtropical and oceanic along the Black Sea. Winters are snowy on the northern part while the summers are hot and dry. The Southern and the coastal areas are covered by the evergreen vegetation while the inland is characterized by wood such as oak and beech. The soil of the region is generally poor except on the plain. The region also has plenty of metal ores. The Balkan Peninsula was among the first regions in Europe to embrace farming. The area has been occupied since the Paleolithic period and is a route through which agriculture from the Middle East found its way to Europe. The region was also known historically as a crossroad of culture, between Latin and Greek. During the Middle Ages period, the Balkan Peninsula became the battlefield for most wars between the Byzantine Roman and the Bulgarian Empires. The Balkan states are among the least developed areas in Europe due to the several Ottoman wars that were fought in the area. Currently, all the countries in the Balkan region are republics. All the republics are parliamentary except Bosnia and Romania which are semi-presidential. All the nations have open market economies ranked as upper middle-class with only Greece ranked as a high-income economy. Slovenia and Greece have the highest GDP (over US$ 25,000), followed by Croatia (US$ 21,000). Where Are The Balkan Mountains Located?